This weekend is one of my best friend’s baby showers and I got a card done for her. 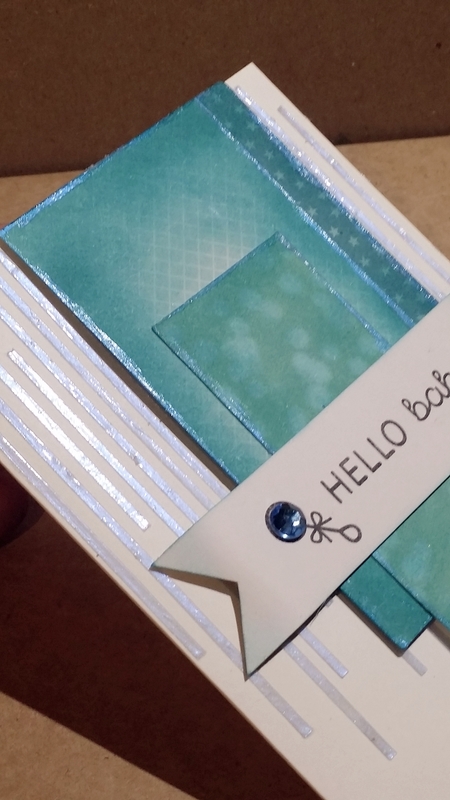 , a palette knife, black pigment ink, acrylic stamping block, cosmetic sponge, and a blue rhinestone. You can see the staggered lines stencil in the background. The Blue Ice Luster Mica Powder gives it a nice subtle shimmer. This color is much more vibrant on a black background. 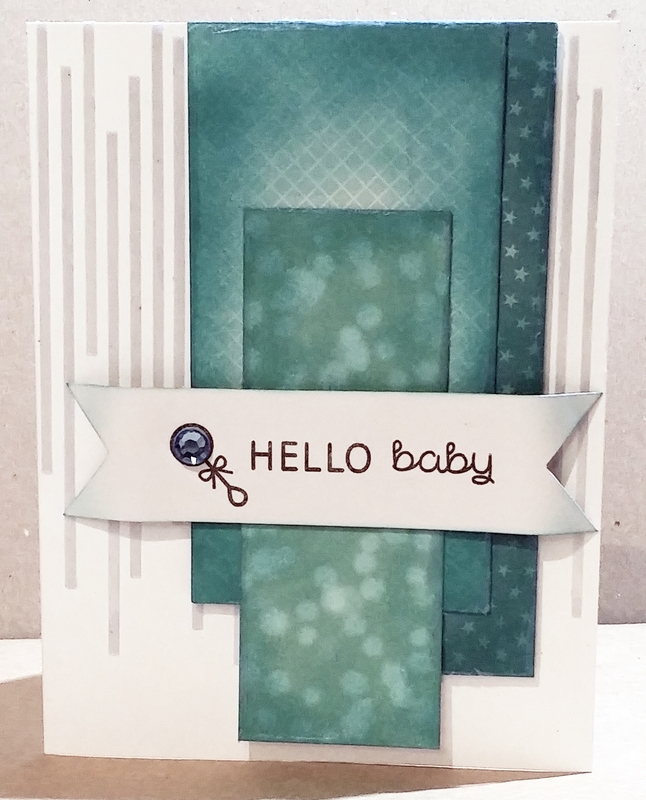 I also used a cosmetic sponge to add it to the edges of the patterned papers. 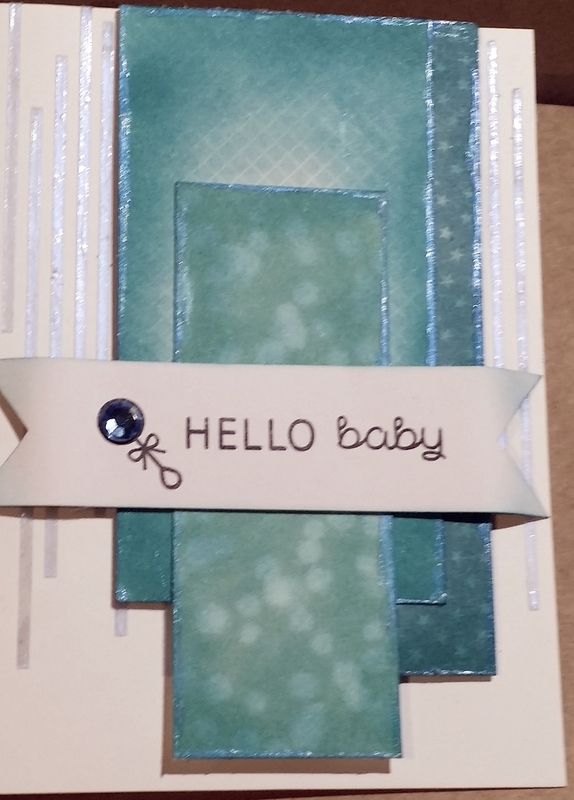 Baby Shower Card for my BFF !